Singapore homes are subjected to risks of pests every here and there, whether expected or unexpected. Also due to its year-round tropical hot and wet climate, makes it more favorable for all kinds of pests. Gear up and give your home the protection it deserves with these useful home tips! 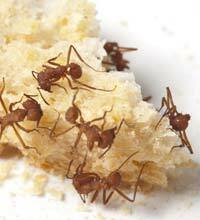 How Do You Get Rid of Ants in Your Kitchen? How safe is your picture-perfect home?